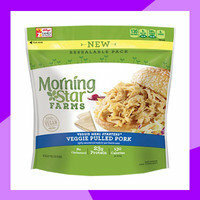 We're so excited about this new meatless protein from the stars at MorningStar Farms! It comes lightly seasoned but not sauced, so you can dress it up however you like. We'll be dousing ours in BBQ sauce and topping our salads with it. Yum! Look for it in freezer aisles nationwide. Oprah has officially made the leap to the grocery aisles! Her new line touts comfort foods with a nutritional twist. (That sounds right up our alley!) In Original and Garlic, these heat 'n eat mashed potatoes are boosted with cauliflower and made without any artificial flavors or dyes. Oh, that IS good! Find them in the refrigerated section of your local grocery store. 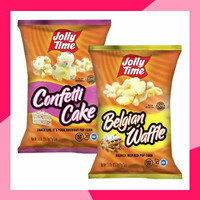 We're feeling jolly just thinking about this yummy snack line! These flavors are insanely decadent, and (bonus!) no popping required. Just open the bag, and measure out a serving (a respectable 1 1/2 cups!). They're mainly available at Costco, but you can get select flavors on Amazon! To celebrate the total solar eclipse today (August 21st), make some Better Brookies... They're cookies eclipsed by brownies!